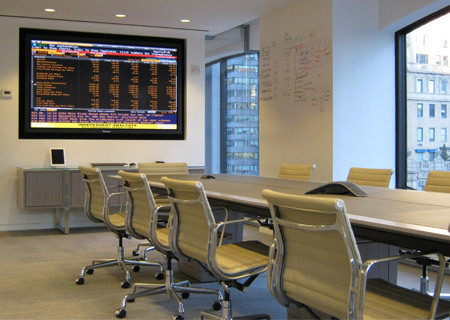 Precise AV delivers expert AV system design, consultation, construction, integration and service. We are creative problem solvers, focused on helping corporate clients to create well-planned presentation spaces that improve collaboration and communication. We work almost exclusively through client referrals and repeat business, and attribute our growing success to a reputation for delivering outstanding customer service, technical expertise, and best-in-class multimedia solutions. At Precise AV, our mission is to deliver the best possible value-added communication solutions and integrated technology experiences to our clients. We are committed to providing exceptional service, support, and sound guidance on an individual basis. We pride ourselves on maintaining top customer relations, a solid reputation for excellence, and for regularly surpassing client expectations. We can confidently say that once you know our services, you will likely come to rely upon us as your long-term trusted AV technology partner. Precise AV employees are highly qualified, experienced industry professionals with extensive training and specialized skills. We strive to deliver our services in the most expeditious and economical manner; consistent with sound business practices, and in the best interests of our clients’ individual needs and goals. Our team’s expertise spans the full range of AV products and services – from the support and modernization of legacy systems, to the deployment of cutting edge multimedia technologies. Precise AV complies with AV Industry standards and practices as defined by InfoComm International. All of our work reflects the highest standards of skill, care and judgment. Precise AV is an authorized reseller of over 150 premier video, audio, AV product lines and select service programs, including Cisco, Polycom, NEC, Crestron, AMX, Extron, Shure, Sharp, Smart, Clearone, Biamp, Peavey and many more. We invite you to explore our Technologies area to learn more.